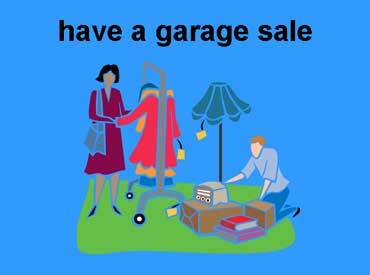 The man is having a garage sale. The customer is looking at a red dress. 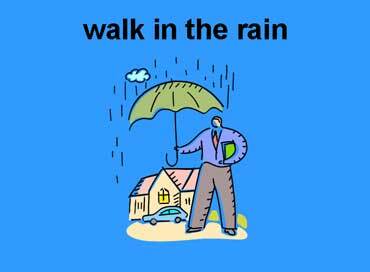 The man is walking in the rain. He is carrying an umbrella. 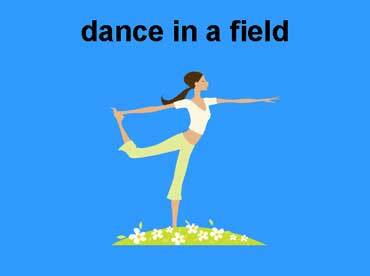 The woman is dancing in a field of flowers. Copyrights to the pictures and photos on this ESL and EL Civics website belong to individual photographers. We have purchased the rights to use them. Permission is granted to print any of the worksheets for classroom or home study. Contact Christina Niven at christina@elcivics.com. Please send corrections, comments, greetings, and requests for new lessons. Copyright © Christina Niven, 2007.